Can you imagine doing a quarter mile in 12.9 seconds @ 105mph in an SUV? How about in an SUV that weighs 4,237 pounds and packs only 400 hp? 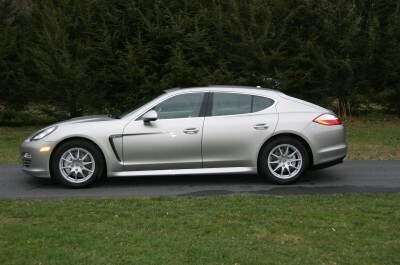 You can in a 2010 Porsche Panamera 4s. The Panamera 4s outperforms all other luxury sports sedans with names that start with an “M” or end with “AMG.” No matter if you are climbing mountains or driving in the city, the retail cost of $113,000 truly feels justified for this car. This Panamera is in Like New condition. Glossy Silver Metallic paint and supple Gray Leather Interior!